When you choose to embark on a healthy lifestyle campaign, all fired up and highly motivated, it is easy to launch yourself with a drastic intense increase in exercise and try to change all unhealthy eating habits all in one go. Your enthusiasm in the early days and weeks can seem endless as you sign up with glee and determination for boot camp classes 4 times per week, do a weekly shop full of fruits and vegetables and commit to drinking your eight glasses of water a day. You may batter on through for the first few weeks, eager for quick snappy results but motivation can start to wane and your eagerness begin to wilt. The intensity can start to feel extreme. It becomes easier to make excuses to not turn up to exercise class or put off a run. Despondency sneaks in when excessive targets are not met, old bad habits may resurface with mindless munching too. You start to berate and judge yourself for slipping up and with punitive self-loathing can make yourself miserable for feeling so useless and end up back on the couch for another few months, your healthy lifestyle campaign parked up again for another while, your bum nestling in nicely into the familiar groove in the couch. That is exactly what happened me over and over again the last few years. Early last year, I plunged again into a new routine of eating properly and exercising every single day, which included running and Body Blast classes in Hannah’s studio. For the first couple of months I was grand. I was losing weight and feeling accomplished but I had set my expectations way too high, by deciding every day to burn more calories than the same day the previous week and as the weeks flew by this became more stressful, more mentally challenging and in the end I became contrary with the magnitude of what I had expected from myself, started skipping workouts, started mindlessly munching and ended up back on the couch, stuffing my face with wild abandon. I was enraged with myself for failing AGAIN, feeling totally inept and destined to be obese forever. So from March to May last year I horsed back on every last pound I had lost and more besides. I was 17 stone 10 pounds and knew that if I kept going the way I was that I would be well over 20 stone by Christmas. I am only 5′ 2″. I was weary of the constant shame and guilt I was experiencing over my weight and knew I needed to try a different approach to weight loss and building up my fitness if I wanted different results. In the last 9 months I have lost 4 stone 9 pounds because this time I chose to be the tortoise and not the hare. I let go of the unrealistic need to make drastic lifestyle changes overnight and toned down the intensity to ensure for myself that I could endure the new healthier lifestyle challenges for the long haul and not just a few weeks or months. I stopped beating myself up when I didn’t get it right every day and just kept putting one foot in front of the other, keeping the momentum going. When I fell down I just got back up. Initial weight losses of 4 or 5 pounds a week were thrilling but I let go of my need for such intense progress on the scales every week and learned to accept the slower weeks instead of being disappointed. I choose to be more realistic now and focus on long-term behaviour instead of the instant gratification and high of a great loss on the scales. I know I have a better chance of success and reaching my goal of a healthy weight and exceptional fitness with a slow steady methodical approach to ensure the sustainable lifestyle changes actually stick. Changing one habit at a time and integrating one new habit at a time and sticking with it leads to more long-lasting change for the years ahead. I know now that an excessively intense weight loss routine becomes too difficult for me to maintain eventually and I run out of steam in my quest for overnight transformation. 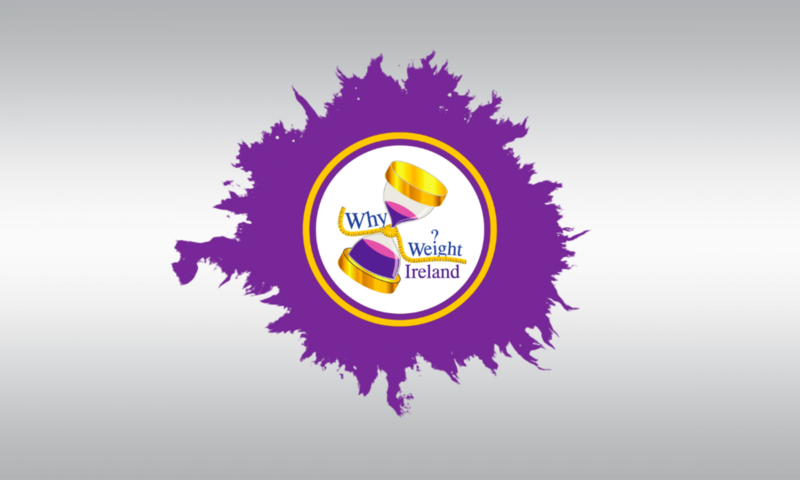 Another Why Weight Ireland member, Kate, has come to a similar realisation, saying “Exercise was much better than last week. Much better, but I’m not going to go flat out to do loads this week because I’ve learned from the past that I just get burned out and stop. So I just want to commit to exercising every day and enjoying it, rather than feeling like it’s a chore.” I kept crashing and burning too when I was jumping in at the beginning with focus on high intensity, my thought process at the time being that if my approach and workouts weren’t intense every single day, well then it wasn’t worthwhile. I have learned now in the last nine months that it is better to take my time and build up my strength and fitness by degrees, to apply healthier eating habits gradually, allowing myself time to teach myself new patterns and routines. 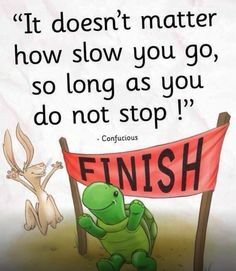 I now choose to be the tortoise, gifting to myself much more sustainable progress, breaking through barriers and reaching mini goals that were never a reality for me when I was tearing around like a demented hare, trying to do too much too soon. I now enjoy my running way more than I ever have before as I have stopped trying to beat my mile pace every single time I head out the front door! The elation I’d feel after running a fastest time would soon turn to despair when the next time I’d go for a run my pace would be slower and devastation would ensue, not understanding that I’m not going to make massive progress every time I put on my running shoes. I was always hell bent on improving on my previous run or workout, obsessed with getting faster and packing more in whereas now my focus has shifted. I now choose to focus on the long journey ahead, on consistent disciplined training and to keep showing up. I know now that my growth and improvements are forged every time I turn up and go for a run or attend a resistance work class, that I am building up the miles in my legs and strengthening my body, accepting that speed and breakthroughs will come once I keep putting the work in and plodding along. My spotlight is now firmly fixed on my endurance and stamina, the speed will come in it’s own good time. It’s the same with healthy eating and weight loss. I’m no longer trying to be absolutely perfect every day and have let go of my compulsive need to see fast and immediate losses on the scales every week. This shift in focus from extreme intense progress to a slower consistent attitude has generated more sustainable and long-term success for me even if I had to choose to slow myself down to get there in the end. Long-term lifestyle improvements take time. You can’t rush them. Changes need to be gradual and goals need to be realistic. Choose to take things slowly, trust the process and your action plan, following through on your simple daily disciplines and the results that you crave will look after themselves. Choose to see your healthy lifestyle campaign as a marathon, not a sprint. Let go of the dream of consistent rapid weight loss, keeping your focus on making small incremental changes. When you make gradual consistent progress, allowing your body and mind to adjust to the changes within, the results you manifest for yourself will be easier to maintain. Treat your healthy lifestyle campaign with respect and integrity and choose to keep going, no matter what. 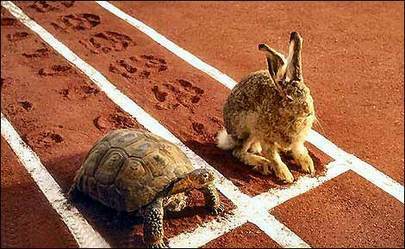 Choose to be the tortoise, not the hare. Running Session One – It feels glorious to get to run tonight beneath the beautiful full moon. The session is tough, stretching us to our limits and beyond. It consists of (3 minutes easy run, 1.5 minutes recovery) x 3, a quick water break followed by (1.5 minutes hard run, 1.5 minutes recovery) x 5. My breathing is all over the place and feel I could buckle in a heap at any moment. Gary runs alongside me for a while chatting and advises to lift my knees higher when I’m running and to remember to take smaller and more steps. It feels awkward initially to be concentrating on changing my running gait, especially when my overhanging stomach is bouncing on my thighs every time I raise my leg higher, which is more than irritating but I relish the challenge at the same time as I am determined to improve my running and make progress and one day that sagging floppy stomach will be no more! I choose to slow down my pace so I can concentrate on raising my legs higher. During the final 30 seconds of a hard run segment Gary challenges me to up the pace even more and try make it fully around to the end of the next bend of the track. I submit to his belief that I can actually do it, dig deep, feel like my lungs are on fire, just go for it, and reach the target at the final blow of the whistle. Briefly I feel I could vomit, but I am well charmed with myself and my efforts tonight. Running Session Two – I don’t know what is wrong with me today but not feeling the buzz of living a healthy lifestyle and choose to eat cream crackers and cheese for tea instead of bothering to make my own dinner (my boys were off with their Daddy for the evening.) I rock up all the same to the running track, not wanting to lose my momentum and hoping the run will giddy up my mood. Tonight’s session is (3 minutes steady run, 1.5 minutes hard run, 1.5 minutes recovery) x 2, to follow by a swift water break, then back out for a repeat of the same. I feel very slow tonight, as usual, and feel very self-conscious at my very audible breathing, something like a donkey in labour, and border on the slightly melodramatic when I ponder if I am pushing myself towards some kind of respiratory failure. I marvel at the powerful runners who gallop past me with an intoxicating air of strength and control, no strenuous breathing sounds at all, and looking like they have so much more in the tank. The running is followed by a crucifying side-lunges workout, 20 very slow side lunges on one leg, then the other, 15 quicker side lunges on each leg, and finishes with 10 super fast side lunges on both legs. The woman behind me, who only started a couple of weeks ago, is screaming by the end. I am surprised to learn from two other girls, that they were also feeling less than graceful about their breathing tonight, feeling as awkward and clumsy as I had been feeling. It’s funny because when I see them running and sailing past me, I think to myself “I want to be able to run like those two legends! !” While stretching together Gary comes over with a glint in his eye, breezily encouraging the three of us to sign up for the Cork Marathon in June, to do it as a relay team. We stare at him, bewildered and titter nervously. Strength & Conditioning Class – At the last minute I decide not to go to class tonight. I am exhausted from being up in the middle of last night with one of my sons who was having breathing difficulties with his asthma, ending up on a mad dash to Caredoc in the early hours and then watching him like a hawk when we returned home. I don’t feel I have the emotional energy to talk to anyone, that I will burst out crying if anyone so much as looks at me, never mind talks to me, so I choose to hibernate and put myself to bed at 8 o’clock after tucking the boys into theirs. Running Session Three – There is indeed part of me that does not want to go running this morning but I have my gear out and ready and my Garmin charged up and I know that if I don’t go this morning with the running club that I will have to make up for it later or do it tomorrow. So I just go and choose to turn up like everyone else does. Just under 50 people have rolled out of bed this morning for 9am to run together. I’m delighted I have chosen to come and not stay in my lovely warm bed. Usually Gary has print outs of the various routes for the various runs but now has signed up with Strava so from last night we could see online each of the three routes planned out for today, 5.5km route for those training for the Run with the Lions 10km in April, 11km route for those training for the Wicklow Gaol Break Half Marathon in March and an 18km route for those training for the Derry and Cork Marathons in June. It is soothing to know the route from the night before and have it firmly in my mind before setting off on my 5.5km (3.4 miles) run. I even had a gander at the 11km and 18km routes and whispered to myself, “One day you will run those distances again!” The run starts off grand enough but I’m only a few minutes in and I realise that my mp3 player is dead as a dodo as had left it on from last Saturday’s run so I was rolling my eyes at the thoughts of not having my tunes to help keep me going and the horror of having to listen to my own thoughts as I plod along! 🙂 I find the run fairly challenging from early on. That demonic hill on Cannery Road takes some teeth-clenching to get up it without stopping but I am cheered by the fact that I can get up all the hills lately, slow as a tortoise, but a persistent little tortoise all the same. The camaraderie of fellow club members is so motivational as when they pass me they yell “Well done!” or “Stay going! You are doing great!” as they whizz on by. Some car gives me a cheering beep! beep! as they race past but I have no idea who it is. I feel like I am fading as I’m coming on to Sleaty Road to make my way towards the town park and a pain in my lower back has me chewing on my lip and wondering do I need to stop and walk. I keep telling myself “just one more step” while making my way up by the river and on to Montgomery Street which is an absolute killer as it seems like a long slow drawn out hill but know that when I get to the top of it that I am nearly home. In defiance of the reality that I can stop at any moment, and really wanting to, I choose to keep putting one foot in front of the other. The other runners have left me for dust, many of them back in their cars at this stage I imagine but I’m not bothered. I’m just feeling blessed to be out there at all, getting to run, and feel Olympic when I finish. I was right when I sensed that I was slowing down as my mile times were 12:47, 13:09, and 13:22 but was delighted with my overall pace of 13:05/mi, which was slightly quicker than last Saturday’s run. Only 5 more weeks until the “Run with the Lions” 10km Run! I’ve lost 2lbs this week, bringing me to a total weight loss of 4 stone 9lbs with another 5 stone to go! I’m nearly at the half way mark and only a little over 2lbs away from dropping into the “12 stone something” range. My goal for the week ahead is to lose 2.5lbs so onwards and downwards now! I’ve had my eye on this recipe from @myfood_diary on instagram for a while now. I’ve adapted it slightly and it turned out very tasty indeed. The original recipe calls for fresh parsley but I used dried tarragon instead as it was what I had. The original also lists onion and garlic granules but I used fresh red onion and a clove of garlic. This is gorgeous and surprisingly low in calories considering there are three different types of cheese! Calories per serving of chicken are 314. Serving above, including the salad, comes to 339 calories. Enjoy! Preheat your oven to Gas Mark 6/ 200 C. Score the chicken breast with slashes but don’t cut the whole way through. Throw half the spinach, the ricotta, Parmesan, red onion, garlic clove, dried tarragon, salt and pepper into a food processor and blend until combined. If you don’t have one, chop the ingredients finely and mix well. Spoon the mixture into the pockets you’ve made in the chicken. Top with the mozzarella and smoked paprika. Bake uncovered in oven for 30 minutes or until no pinkness remains in the chicken. 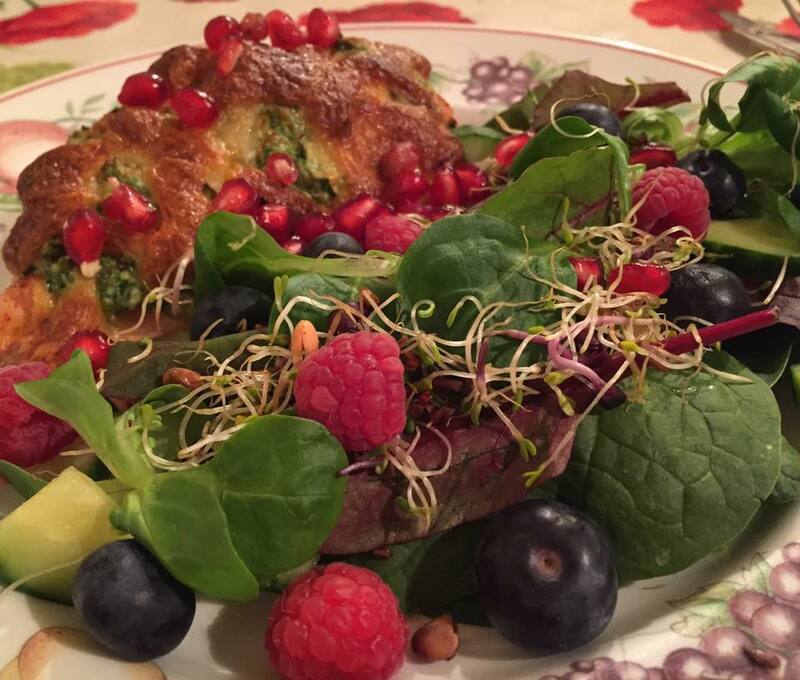 Plate up with the remaining spinach, lambs lettuce, ruby chard, cucumber, quinoa sprout mix, raspberries, strawberries and sprinkle with the pomegranate seeds.